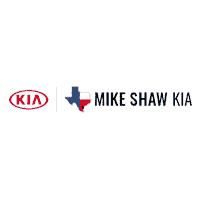 Mike Shaw Kia is proud to provide our Corpus Christi, TX drivers with a range of automotive services. So if you’re in the market for a brand new vehicle, head over to shop our extensive collection of new Kia rides today! Or maybe you’re more interested in a late model pre-owned ride that comes with like-new quality and a driver-friendly price tag? Then our previously owned inventory is for you! Our staff will go over the new and used car specials we have taking place as well as any other Kia offers and incentives you may want to take advantage of! We have dedicated research pages committed to bringing you up-to-date information on the latest Kia models and our finance department is ready to assist you today! Fill out our online credit application or drop by to see us. We’ll go over you credit score, and how you can take steps to rebuild it today! Don’t be a stranger once you’ve purchased a Kia here at our dealership, visit our service department periodically to ensure your vehicle is running at its optimum level. We have service and parts specials and a convenient online scheduling form that make it easy to come see us. Mike Shaw Kia thanks you for allowing us to be your automotive guide, and we will continue to earn your business time and time again! Visit our dealership today!